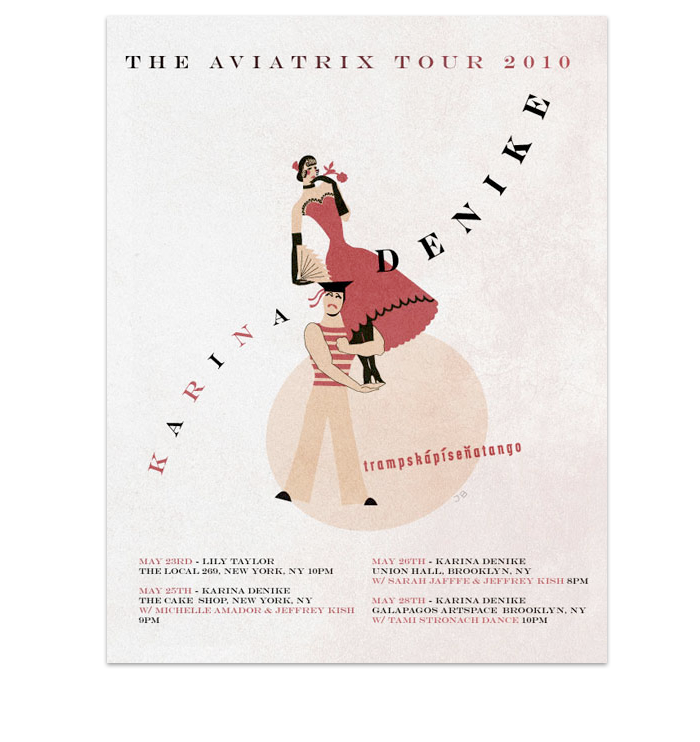 Inspired from an antique Czech poster Karina found, I illustrated and designed this piece for her East Coast tour. 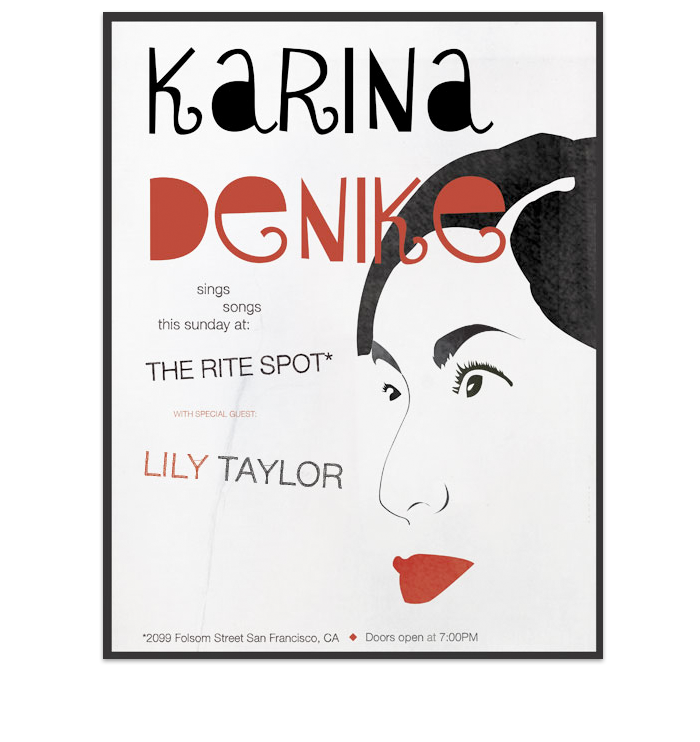 This was designed for Karina Denike's monthly residency at The Rite Spot in San Francisco. This illustration is for an illustrated songbook with sheet music in the works for Karina Denike. 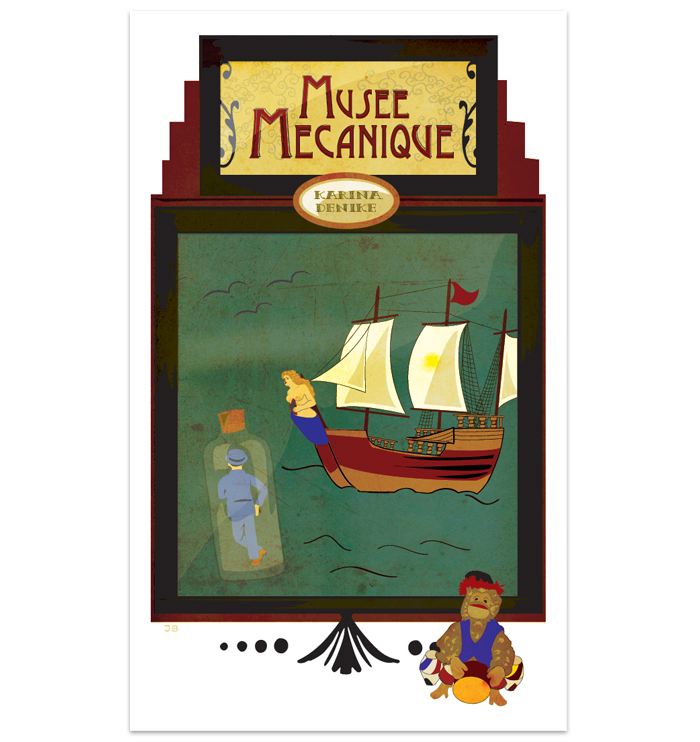 Her song, "Musee Mecanique," refers to the actual Musee Mecanique located on the SF wharf. Odd, eccentric and old-timey, this illustration does its best to keep up with the theme and the song.